Note to self: "Don't trust dog to work pedals. Three lives down - six to go!" 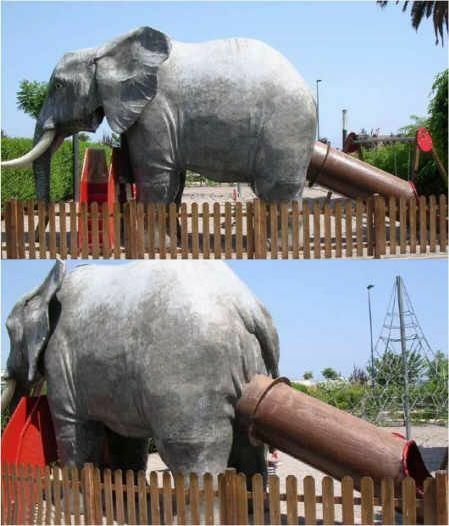 It was an innocent soul who designed this slide.